Everyone has a right to know about the food they eat and feed their families, but under current FDA regulations, U.S. citizens are denied that right when it comes to genetically modified organisms (GMOs). The number and variety of GMO foods reaching grocery shelves is accelerating without proper regulation or human health testing, and most disconcertingly, without comprehensive labeling. 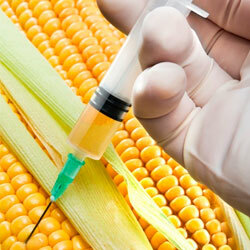 The safety of GMOs for human consumption has not been adequately examined. Studies by the National Academy of Sciences have shown that genetically engineered plants have real potential to introduce new allergens and toxins into our food supply. Sixty-four other countries have labeling requirements in place to enable consumers to make informed, healthy decisions about their food selection, including fifteen European countries, Russia, Japan, China, Australia, and New Zealand. Tell the FDA its time for the United States to join the rest of the modern world and mandate clear labeling of all foods containing GMOs. As the current commissioner of the Federal Food and Drug Administration, you are in a unique position to make healthy history. The failure of the U.S. to join the rest of the world in labeling GMOs is shameful and ultimately unjust. There have been no complete epidemiological studies on the possible impact of GMOs, but there is research that suggests unsettling developments, such as insecticides for genetically modified corn showing up in human bloodstreams. There is also reason to believe that GMOs have had a role in the increase in childhood allergies. As evidence mounts about the dangers of genetically modified foods, consumer outrage has grown proportionately. Until we know without a doubt that GE crops are safe to eat, we should have a choice about whether we want to eat them. Please pass regulations to clearly label all foods containing GMOs. That's 19,711 signatures! Let's keep the ball rolling.